I woke up Sunday morning feeling well-rested but still like my head was a giant, overly inflated balloon. It wasn’t so much that I minded being so sick (yes it isn’t pleasant to feel like your head is going to explode but after ten days at home in bed trying to get rid of it to no avail, what was a worn-down Minnesota Mom of two, misbehaving kids to do?). It was the thought of passing my nasty bug on to the elderly abuelas and abuelos at the nursing home that really concerned me. I’ve become quite aware that the elderly do not have anywhere near the same immune system as younger people do so infecting them with a virulent virus was not something I wanted to do. Thankfully I packed lots of Purell and intended to soak my hands in the antibacterial slimy gel as often as I could. Cough in your elbow, not your hand, I reminded myself. Don’t forget to wash your hands! Oh the mother in me was coming out! The Hotel Presidente has a fantastic cafe that opens up onto the main pedestrian street, Avenida Central and is attached to the bar I visited the previous night to calm my nerves before bed. It was eight am and a glorious morning. The Costa Rican sun shone brightly, lighting up the sky, and my pale, vitamin D deficient skin drank up its magnificent rays like a dehydrated child. Ahhhh….at last! I found a wonderful table on the terrace which afforded a perfect people-watching view of the main drag. I ordered my first highly anticipated cup of Costa Rican java and was not the least bit disappointed in its velvety, rich, deeply satisfying taste. As a coffee lover, I knew that I’d be in paradise for the next week enjoying some of the best coffee in the world. (I must secretly admit that even today I still order my coffee direct from Costa Rica. It actually turns out to be a cheaper way of supporting my habit as the cost per pound is less than anything I can buy in the States or at least anything that is drinkable! Try for yourself: www.cafebritt.cr). The waiter brought me a plate and I helped myself to the buffet where I ordered my very own omelette from the happy smiling egg cooker and passed on the fruit (I didn’t want to take any chances of getting Montezuma’s Revenge and was warned not to eat fruit or uncooked vegetables. Unfortunately my discretion only last a day and I found out the hard way why you should definitely NOT eat those gorgeous, juicy, delicious papaya). The food was surprisingly good and I used my breakfast time to page through the guide book for some ideas how to spend the day. It felt strange to be all alone, in a foreign country. I hadn’t traveled solo abroad since my twenties and now in my late thirties it was a different experience. I wasn’t a spring chicken anymore nor did I like to drink myself silly staying in youth hostels. I was a mother for God’s sake, with responsibility! I wasn’t quite sure what to expect. Thankfully, I seem to have an approachable, Minnesota nice (I don’t bite!) demeanor and seem to meet friends everywhere, almost to the point of ridicule by friends and family. 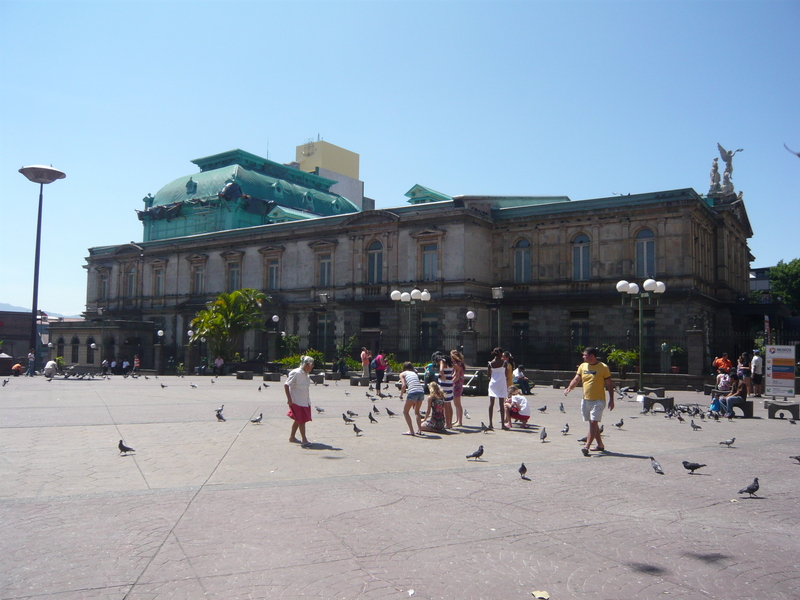 I struck up a conversation with the couple next to me and discovered that there was much to learn and see in Costa Rica. In my opinion, meeting new, interesting people from all walks of life is part of the thrill and adventure of traveling. Sharing the world and what you have found with others, even strangers, is half the reward and you can often learn a lot. I took their advice and set off for my day exploring San Jose, alone and not the least bit alarmed. 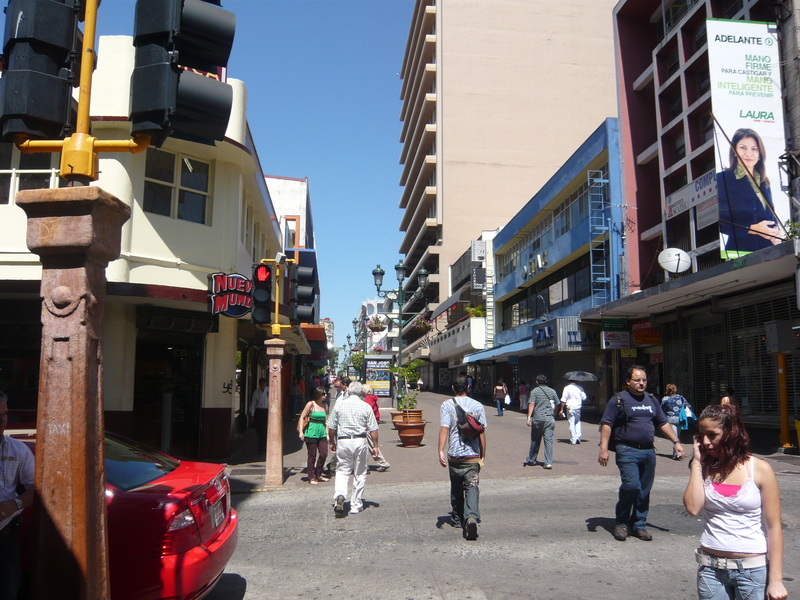 I took a deep breath, left the comforts of the hotel, and made a left on Avenida Central, the main drag, to began my exploration of the city. It was a Sunday morning, and the streets were beaming with life. Shops selling cheap clothing lined the street as well as fast-food restaurants (yes I even saw a KFC and of course McDonalds…just like North America) and loads of electronic stores jam-packed with well, electronics. I instantly felt safe. No one stared at the middle age blond-hair gringa. In fact, no one even seemed to notice I was there so I was able to walk freely and leisurely allowing me to take it all in. I was about two or three blocks away from the hotel when I first heard the sounds and nearly dropped to the ground. BANG BANG BOOM BOOM!!! The loud, frightening sounds pounded the bright blue sky like thunder, like death. I practically had a heart attack and felt all the hair on my skin raise in fear. Trying not to panic, I looked around at the actors in the play (well, really the people on the streets that I had been secretly watching behind my dark shades). No one stopped. No one panicked. No one seemed to even notice or hear the bangs. It was like nothing out of the ordinary so at this point I was utterly confused. What in God’s name was that noise? ! It sure sounded like gun fire. Yet no one seemed to even notice. Hmmm…. Another block later, as I nervously crossed the street, I happened to have that “ah ha” moment. Had I visited a Latin country before I would have known what it was: Fireworks! Yes, fireworks were being light off and shot smack during the middle of the day. And why I wondered? It didn’t seem to make any sense. Then I saw it. 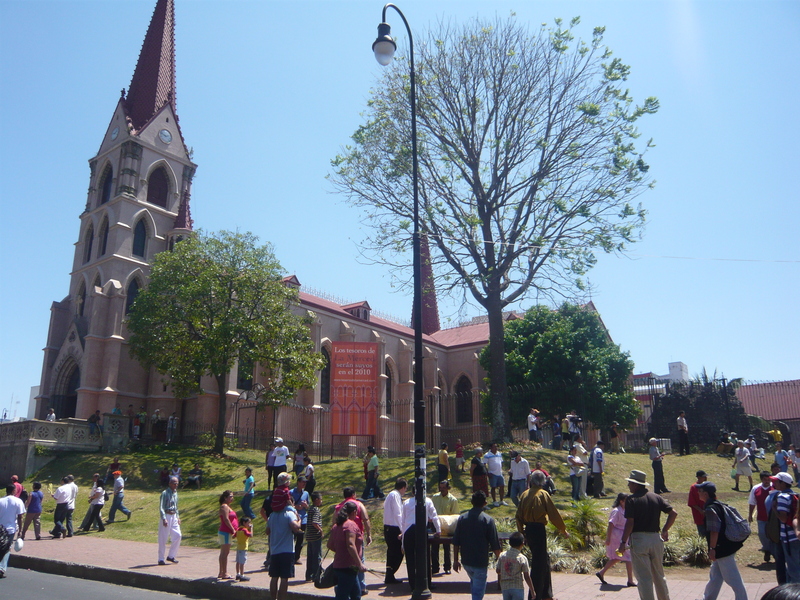 The large, colonial Catholic church and the masses and masses of people marching down the street in a religious procession carrying palms and some kind of burning incense that smoked the bright blue sky. It finally dawned on me that it wasn’t just any Sunday. It was Palm Sunday, which jumped off the start of Holy Week or Semana Santa, an entire week of processions, religious festivities and celebrations. Ticos are CRAZY about Holy Week. 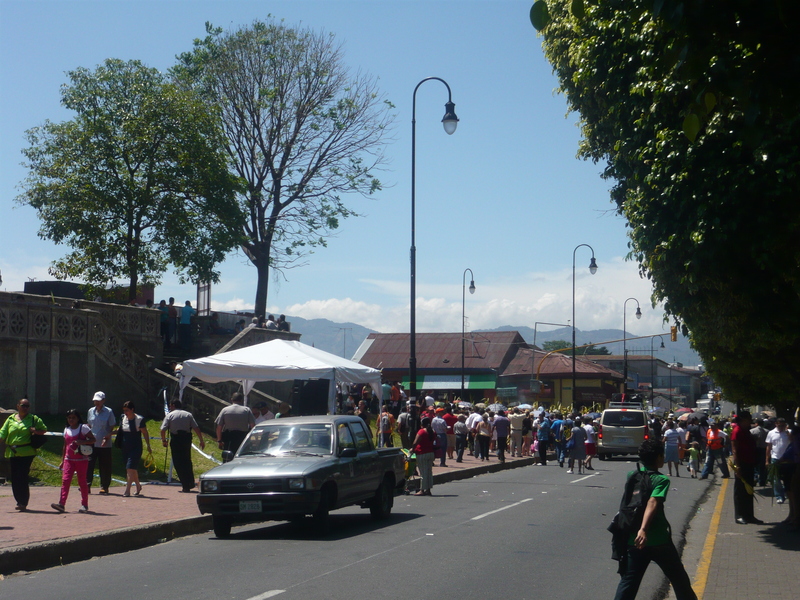 It is the biggest, most important holiday and religious week in all of Costa Rica, a country in which is almost 90% Catholic (aka very religious people) and I was about to discover firsthand how important Catholicism is to the Costa Rican people. I watched the procession trying to understand what they were saying and doing. I practically kicked myself for not knowing more about Catholicism. Yes, like many Midwestern Americans, I went to church every Sunday as a child yet even to this day must admit that I quite frankly don’t understand what a lot of religious rituals mean. Oh well. I’d have time to learn. 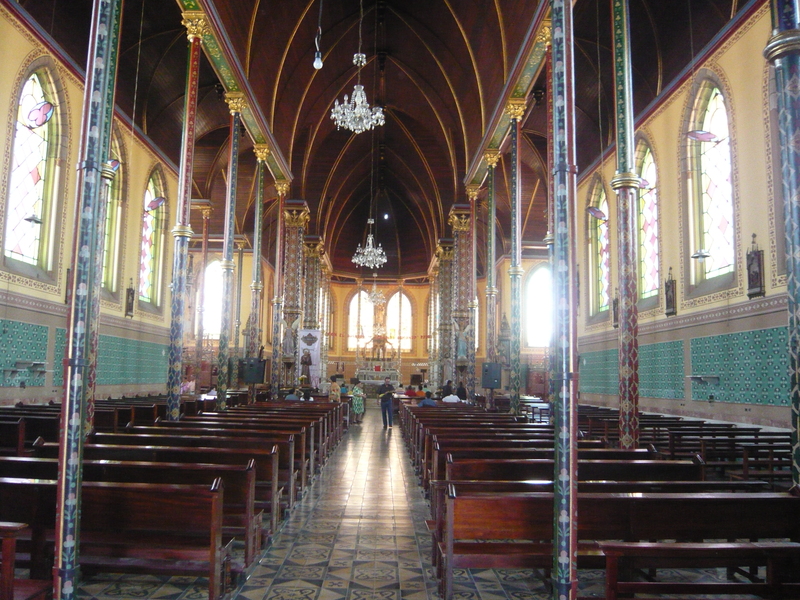 I was in a very Catholic country for an entire week, during one of the most important weeks of the year. I was bound to find out! 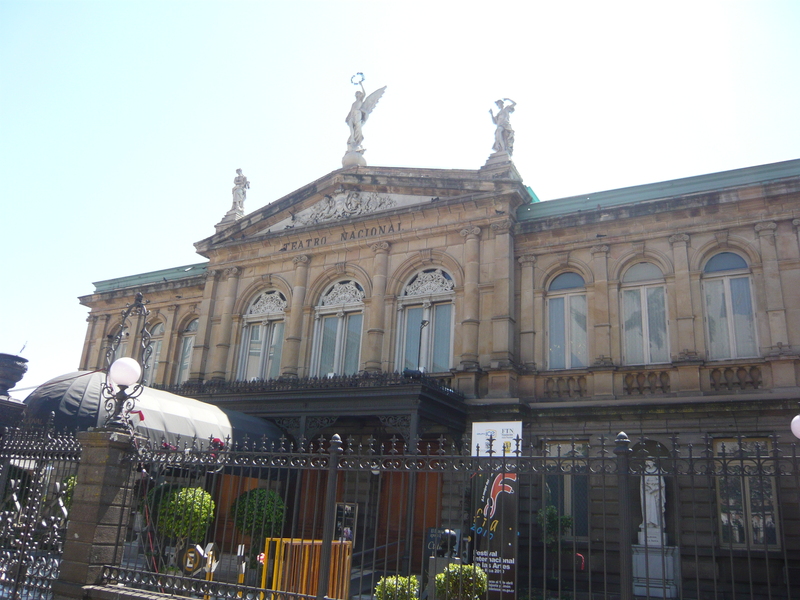 I spent the rest of my morning exploring some of the important cultural and historical landmarks in San Jose such as the splendid Teatro Nacional and the fascinating Museo del Oro Precolombino which is loaded with over 1,600 gold artifacts dating from 500 to 1500 AD and also has exhibits on the native culture before the invasion of the gold-greedy conquistadors in 1506 thanks to Christopher Columbus. 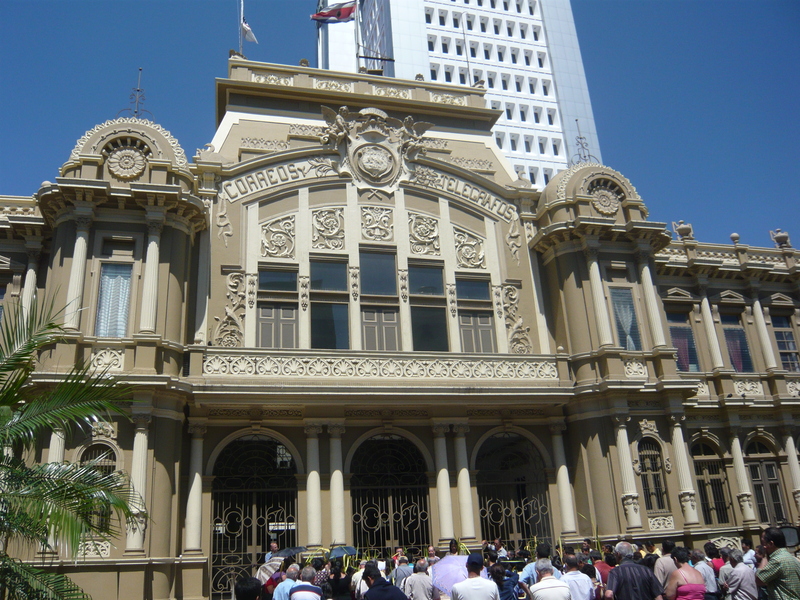 Although there is much more to see in San Jose, a city that is often overlooked and used as a launching off pad for the rest of the country, I unfortunately didn’t have the time. I had to be back at the airport by early afternoon to meet my fellow volunteers and representatives from CCS (Cross-Cultural Solutions, my volunteer organization). While wandering about, one thing that I instantly noticed is the insane difficulty in finding your way around. In Costa Rica, actual street addresses are seldom if ever used making finding a location equivalent to trying to following a treasure map in Arabic! 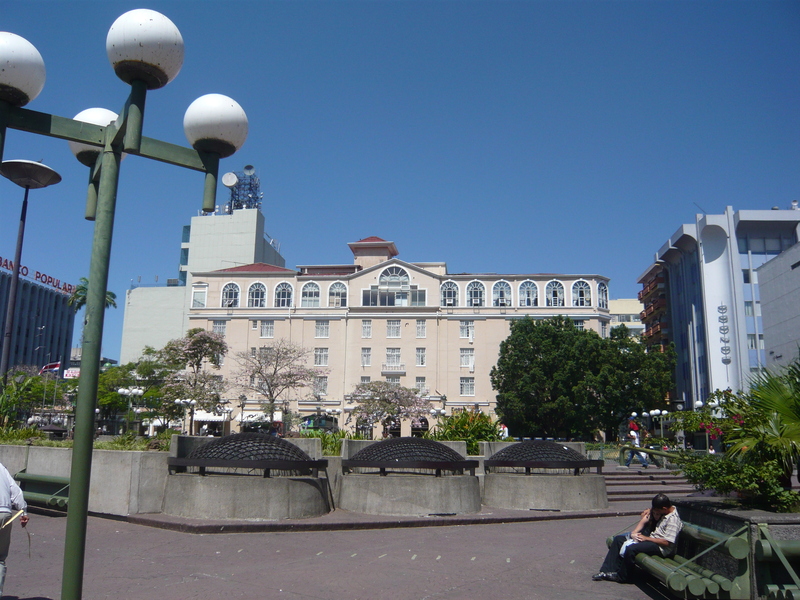 For example, most addresses are given like some kind of secret map code: Our hotel can be found on the northeast side of Calle 3, between Avenidas Central and 1. If they really want to mess with you or spice things up, they will even throw in some crazy landmarks and add the metric system to the equation (a DISASTER for us Americans who don’t know how to use the metric system!). 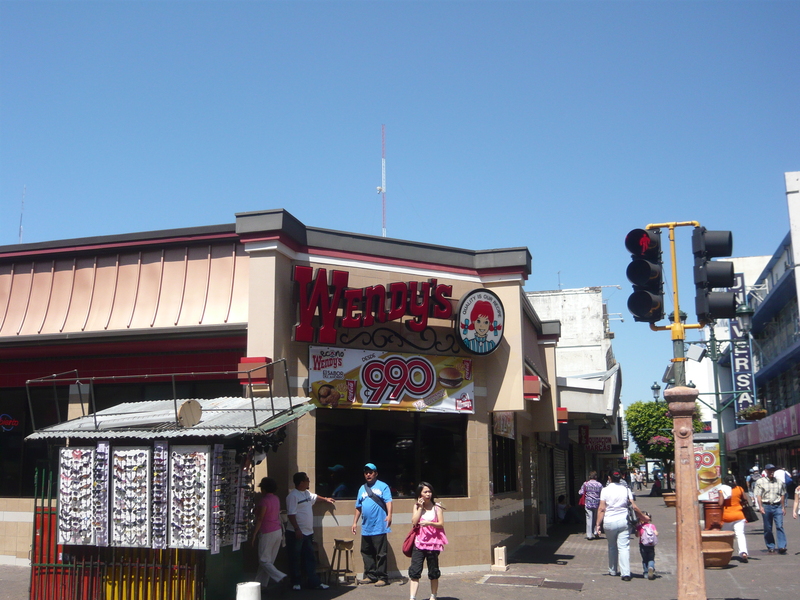 Here is an example: This restaurant can be found by following Avenida Central 100 m. to the intersection of Calle Rose and Avenida 9. Then take a left, head 250 m straight to the yellow house. Turn right, etc etc). For a barely speaking Spanish foreigner, finding an address in Costa Rica is completely by chance and for my first day in the country, I wasn’t going to find out the hard way. I explored only a few main avendias, the main arteries of the city, and prayed I wouldn’t wind up lost. It was almost two o’clock and time to head to the airport. After a quick delightful gelato, I was back in the cab, striking up a half Spanish half I don’t know what conversation with the driver and was on my way. I was looking forward to starting the volunteer experience which was the main reason why I was in Costa Rica. Judging how interesting my morning went, I was confident that the rest of the week would be quite an adventure. I also could not believe my luck at being there during one of the most important weeks of the year. I was certain it would be a fascinating week, full of cultural learning and mishaps.